WASHINGTON, D.C. (February 25, 2014) – The Arc, an advocate for the rights of the disabilities community, and Comcast Corporation (Nasdaq: CMCSA, CMCSK) today announced they have formed an exciting new national partnership to support and expand digital technology opportunities for people with intellectual and developmental disabilities (I/DD). Through a three-year commitment, Comcast and NBCUniversal will provide The Arc with $3.7 million in cash and in-kind support, including airtime, to promote The Arc’s public service announcements on cable and broadcast channels and xfinity.com. The Comcast Foundation is also providing $400,000 to support The Arc’s national digital training program and improve technology access and services by launching up to 12 Comcast and NBCUniversal Digital Literacy Learning Labs in major metropolitan U.S. cities. The Arc will use the new funding to design an online resource center for cataloguing and rating apps, software and other digital resources. The 700 local chapters of The Arc nationwide will participate in designing and contributing resources to the online resource center. “Thanks to Comcast and NBCUniversal, The Arc has a tremendous opportunity to raise awareness across the country about The Arc and the population we work with, and this partnership affords us the ability to launch an exciting new program that could change the lives of people with I/DD. By learning how to get online, people with I/DD are in a better position to gain employment, expand their social circle, and be a part of the increasingly growing community that exists online,” said Peter Berns, CEO of The Arc. Digital literacy is an important area of focus for the disabilities community and The Arc in this increasingly digital and online world. The majority of people with I/DD have limited or no access to contemporary and comprehensible information and communication technologies. In The Arc’s nationwide survey, Family and Individual Needs for Disability Supports (“FINDS”) in 2010, only 32 percent of people with I/DD were reported to be using computers; 13 percent communication devices; 4 percent GPS; and 6 percent video communications. This partnership will focus on assisting people with I/DD to gain access to and make effective and safe use of the Internet, including social media. “Online safety is a big issue for all of us, and as more people with I/DD get online, it’s incredibly important that they learn to do so in a manner that protects them while allowing them the freedom to explore the online world. Our chapters are poised to provide this opportunity to people with I/DD, and I’m looking forward to witnessing how this program impacts their lives,” said Berns. In early 2014, The Arc will be adding a new staff member to lead this new initiative. Look for updates on The Arc’s website, www.thearc.org, throughout the year as we build this resource. Great PR for Comcast. Not much there for the ARC. Seems like a sell-out to me. Congratulations to the ARC’s incredible staff for forging this remarkable collaboration! What an enormous accomplishment and a hopeful start. As a member of ARC,myself, and a professional coach supporting families facing disability issues, I am optimistic about what will come out of this innovative partnership. When non-profit advocacy groups partner with the resource-rich private sector, long-lasting corporate changes benefiting the disabled, are possible. Pairing ARC’s focused passion with Comcast’s resources is like putting nitro with glycerin! 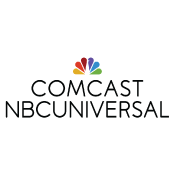 Comcast-NBCUniversal is now the largest media company of it’s kind in the USA. For Bern and his remarkable staff to have navigated their way into Comcast’s massive network, is an astounding opportunity. that could lead to urgently needed access to technology and enhanced understanding by corporations, of a vastly under-served market. Comcast Foundation President Charisse Lillie certainly understands her company’s potential profit and good will, as a result of this historic collaboration with one of the country’s most effective advocacy organizations. How will the ARC and people with I/DD and other challenges benefit? Virginia Jones comment encouraged me think more deeply about this……it is an important question for us all to ask. What first steps must be taken? What will the priorities be? My question: does this collaboration move ARC into a better position to educate key Comcast-NBCUniversal employees about the reality and unmet tech needs of differently-abled folks and their families? Will the new ARC staff person directing this initiative, seize this chance to overcome stereotypes and misunderstandings, so that a more accurate understanding of disability issues flourishes within that huge corporate culture? How do you measure the success of attitude change? Again, all important questions. My suggestion: Start simply— by telling a real-life story, based on on an educational but highly engaging video exploring ways that improved access to technology, through this new collaboration, vastly improve a disabled individual’s chance for increased independence, better internet safety or enhanced training for vocational opportunity. I suggest that the ARC staff member, who will be leading this initiative, hire a Video Story-Teller with a background in Disability Awareness, who can chronicle a success case, as the collaboration unfolds. Such a film could also highlight how Comcast-NBCUniversal employees begin to learn about the lives of people whom they can better serve with technology access. For example, video profile an individual with I/DD who is supported in using GPS, to navigate their communities, more independently. After all, the FINDS report indicates that the ability to use GPS-software is one of the greatest unmet needs—only 4% report having access to, and mastery of GPS. The ability to navigate a community independently, predicts for increased self-reliance and overcoming social isolation, to name a few. Admittedly, I have a personal passion for educating the corporate sector about the disability community’s need for assistive and accessible technology. Measures of success will be determined by the ARC and Comcast teams that set programmatic priorities. Thanks again to all of those ARC and Comcast-NBCUniversal professionals who have opened this door. Feel free to contact me, if you would like me to share resources, that might move this initiative forward.